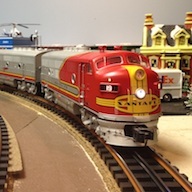 Lionel Collectors Club of America welcomes train hobbyists who enjoy the world’s greatest hobby and want to meet other train collectors/operators. 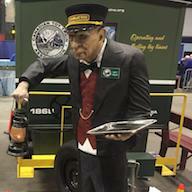 LCCA participates in club-sponsored Conventions and Train Shows, and agrees to uphold the standards of the Lionel Collectors Club of America as defined in its constitution. TCA is one of the largest and most respected collecting societies in the world. 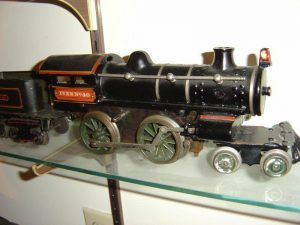 We focus on toy trains — the hobby of collecting and operating them, the fun of members buying, selling and discussing them, the study of their characteristics, and the history of their production. Our web sites are a wonderful toy train resource. Serving the Plastic Village Community since 1996. This site’s purpose is to collect and disseminate information regarding all aspects of any plastic village items, regardless of manufacturer. Our Mission: To further the toy train hobby and to promote fellowship among our members.TTOS was founded in 1966 and has members from around the world. TTOS operates many Divisions across the United States, puts on a National Convention every year in the Summer, and produces limited-edition collectible ‘Convention Cars’. 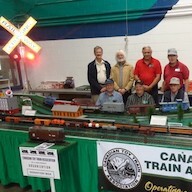 The members of the Lionel Operating Train Society (LOTS) are united by their love of operating and collecting Lionel toy trains. Members have a variety of interests within the hobby. Among the various interests, most are involved with scenery, electronics, operations, lighting, accessories and repairing motors. The most important and common denominator for all is having fun! The Train Collectors Society, based in the UK, was formed over 30 years ago. It is a voluntary run not for profit club for people who are interested in or want to collect or operate toy trains and commercial model railways. We have no limitations as to gauge or scale, manufacturer, nationality or age – hence our slogan ‘Any make, Any gauge, Any age’. The Ives Train Society, in Forestville, NY, was formed in January of 1935. Kenneth R. Baldwin, Alfred Alain, Frances Cook and Edward Hoffman formed this organization to promote the Ives Toy Trains ownership. To foster friendship among the hobby and to allow the Ives Toys to endure. Ives Toys are among the finest toys produced in the World. 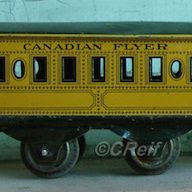 The Canadian National Railways Historical Association (CNRHA), formerly the CN Lines Special Interest Group, is an international self-sustaining operational research and historical society that exclusively focuses on the Canadian National family of railways, and actively promotes the art of modelling them accurately. CPHA is a non-profit historical association dedicated to sharing information about the Canadian Pacific Railway and its subsidiaries, past and present. Our high quality magazine, CP TRACKS, contains photographs, scale drawings, historical information, and articles on the CPR, as well as the Soo Line, DAR, E&N and CP Electric Lines. Whether you are a modeller and/or historian whose interests are either steam, transition, early diesel or the latest 4400HP GE monsters, there is something for everyone in every information-packed issue.